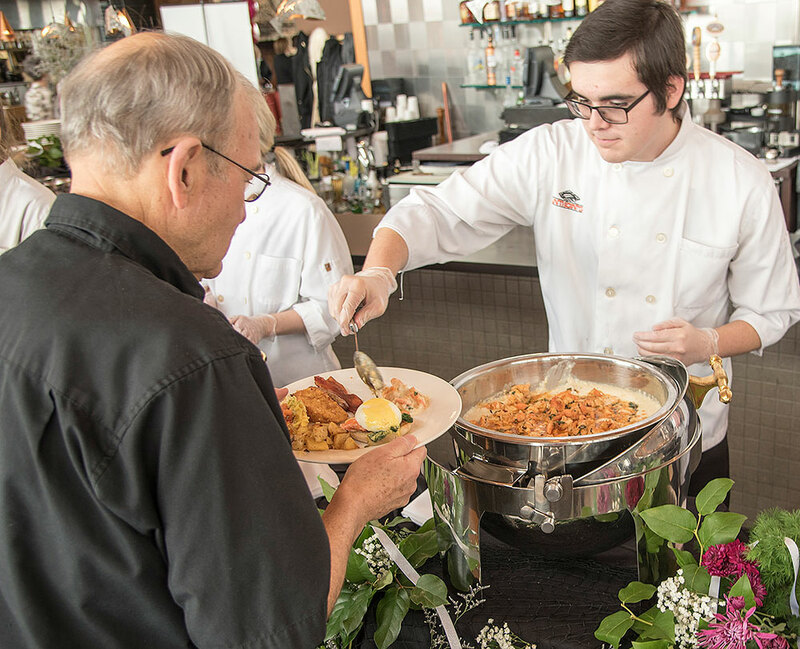 RICHLAND, Wash. – Washington State University Tri-Cities’ recent Point to Success Brunch raised more than $33,550 for Carson College of Business degree programs. “Dollars raised are directly invested in business education at WSU Tri-Cities, providing resources for student academic and career success, faculty research and teaching effectiveness,” said Donna Paul, WSU Tri-Cities Carson College academic director. The event was also an opportunity to showcase how WSU Tri-Cities is educating its business students with hands-on, career-based opportunities, she said. These are made possible, in part, by community partnerships crucial to both student and faculty success. An example of this local business support is that the fundraiser’s gourmet meal was donated by Anthony’s at Columbia Point. “The wait staff even donated their time for the event, and we are deeply grateful for that,” said Gary Spanner, WSU Tri-Cities advisory board chair for the Carson College. The restaurant wants to make the brunch an annual event, he said. To donate to the WSU Tri-Cities Carson College of Business and other university programs, visit https://tricities.wsu.edu/give/. For more information and to apply to degree programs offered through WSU Tri-Cities’ Carson College of Business, visit https://tricities.wsu.edu/business/.